New in the post! 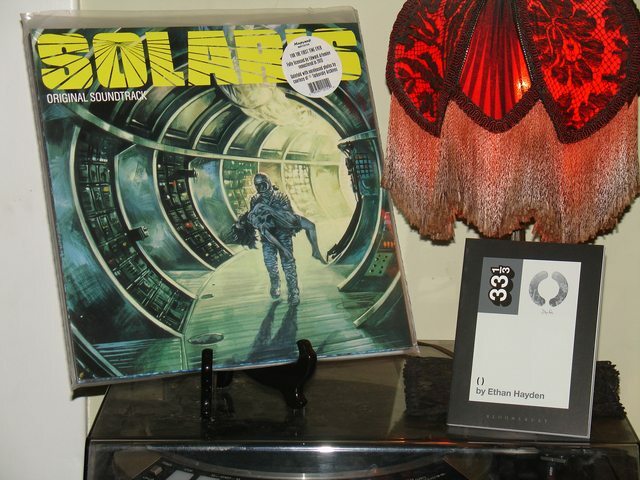 Eduard Artemyev - Solaris OST (1972), and enjoying the accompanying book from Buffalo-area linguist and sound poet Ethan Hayden. His contribution to the 33 1/3 series is a volume on Sigur Ros' ( ). I don't know what this is, maybe pop rock or something like that. A melodious Monday it is, then. UN-****ing-believable! In nineteen sixty goddamn seven!!! I love the sneeze, and the comments about the rain. And then it turns into a murder! What an amazing talent, even that young! That's the message that I sent"
Last edited by Plainview; 01-11-2016 at 03:09 PM. I'm listening to an old favorite. Emperor - Anthems to the Welkin at Dusk. It's been a long time since I've listened to this.